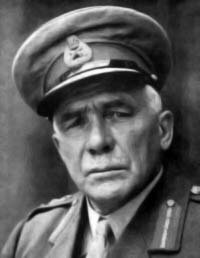 1938 It was now General Sir William Ironside's turn to become Governor. It was he who was responsible for the building of Gibraltar's ARP shelters which were destined to become eyesores for years to come. Unlike his shelters he only lasted a year. The sisters were in the habit of travelling to New York whenever the mood took them. There they stayed with friends and probably earned their keep as seamstresses. 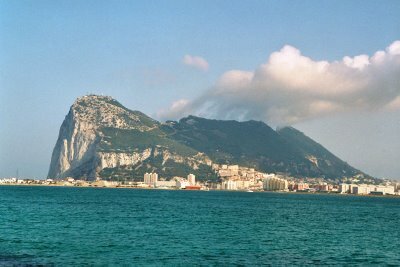 Whenever they returned to Gibraltar with their savings, they were always agog with the wonders of the U.S. of A. They seem to have been very impressed with the fact that the fruit and vegetable stalls were crammed full of goodies and that nobody ever seemed to steal anything. They never mentioned the Mafia but then these gentlemen had probably made enough money bootlegging during the Prohibition years to bother too much about fruit and vegetables. Angelita, one of Thelmo's daughters, despite her rather masculine appearance had a fiance at around this time. He was a naval petty officer who was a messman of some sort and had a repertoire of fancy desserts which always drew a chorus of delight from the aunts. 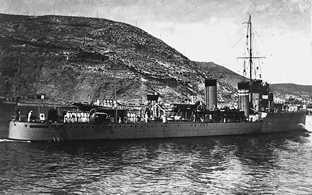 In August the Republican destroyer José Luis Diez limped into Gibraltar harbour with a gaping hole in her bows, the result of a battle in the Straits with Nationalist warships. The dockyard was unable to undertake repairs because of the non-intervention pact, but the ship's crew undertook the task themselves. She was moored close to the shore and it was possible to see the damage from the Boulevard. Lina, however, ignored Chamberlain’s advice. That same day she gave birth to Neville Michael Chipulina. That’s me. I was born at home in 256 Main Street. Ironically my parents named me after the premier who they presumably thought had averted the war. The reason I was called Neville. 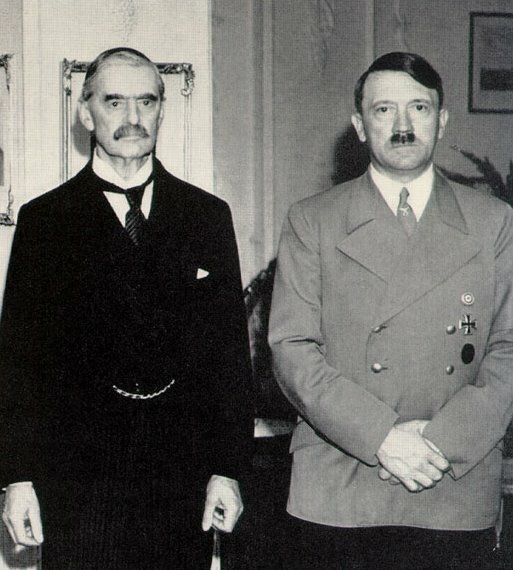 The British Prime Minister, Neville Chamberlain and the German Chancellor, Adolf Hitler look suitably jolly after their meeting at Godesberg in September 1938. 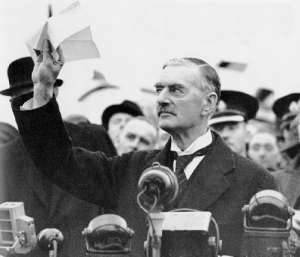 They signed away Czechoslovakia on the 29th of September in Munich and Chamberlain returned to London the next day with his famous piece of paper and his celebrated prediction, ‘. . . peace for our Time’. My parents were suitably impressed and called me Neville – much to my future disgust. In October, a few days later, Germany took the Sudetenland from Czechoslovakia. 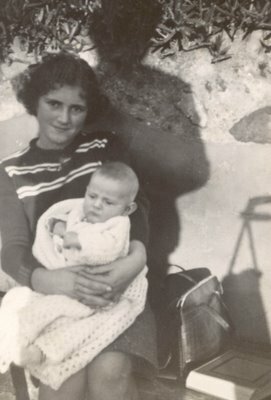 When Eric was first taken to see the newborn me he remarked that I looked like Ambrosio, who was a boy of the same age as Eric. The thing about Ambrosio was that he had peculiar foetus like features. Maruja also thought I was an exceptionally ugly baby. I was, however, far too young to take umbrage. Despite the superficial air of normality, the effects of the Civil War continued to cast a shadow over events on the Rock. Work began on an aircraft landing strip south of the 1909 fence, and in Spain General Queipo de Llano was now Franco's top man in Andalucia. 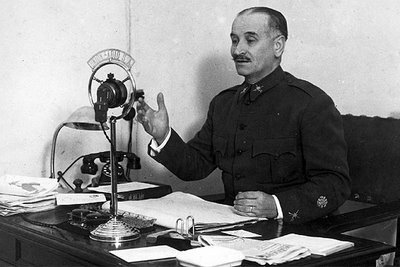 His nightly broadcasts from Radio Sevilla would often refer to Manuel Azaña, who was allegedly gay, as Doña Manolita. He became notorious for his brutal exhortations. His broadcasts must have sent shivers down the spines of the refugees crowding North Front as he ranted and raved about the retribution his troops would inflict on them. This charming character once turned up in La Linea and ordered the Gibraltar refugees to return to Spain and work for the salvation of their country instead of patronising the local bars and looking at the legs of the dancing girls. It was from here that he made his much publicised threat that he would soon be riding up Main Street to Government House on a white charger. 'La reserva espiritual del occidente' would soon know what it was like to be governed by people like him. Meanwhile, in Gibraltar, a local bakery owner by the name of Amar, opened his house to many of the refugees. Far from patronising the local bars, these people would dearly have loved to return to their homeland but were too frightened to do so. Eventually the place became a sort of transit camp as more and more people took advantage of his hospitality, Amar was a merchant and certainly no political activist. No doubt he sympathised with the Republic, but his was probably a humanitarian gesture. When he died many years later, his funeral had a massive cotêge of grateful people from La Linea. On the night of New Year's Eve the destroyer José Luis Diez slipped out of port. A group of Nationalist warships were waiting. They had been alerted by a rocket sent off by a spy on shore. Splinters from the shells fired at her in the battle that ensued fell on the villagers at Catalan Bay wounding several locals. She finally ran aground nearby. Refloated by Royal Navy tugs she spent the rest of the war in Gibraltar harbour. He was eventually interned in Britain and it was rumoured that during the Second World War he became the commander of a British torpedo boat. Major sporting events continued as usual. For many years the British Mediterranean and Home Fleets gathered annually in Gibraltar. When this happened the town was treated to an inter-fleet soccer clash. One particularly well attended match held in the Naval Grounds below the Boulevard was seen by some ten thousand spectators. 1939 In January Barcelona fell to the Nationalist forces and there were ostentatious celebrations at the Spanish Consulate in Gibraltar. Local labour organisations countered with a protest demonstration. From the upper window of 256 Main Street Eric watched in awe as this mass of humanity passed below the house chanting hoarsely, '¡Muera Franco! ¡Muera Mussolini!' There was an emotional violence to the chants that left the scene indelibly imprinted in Eric's mind. In February back in England, Sir Charles Harington, who had long retired as Governor, suggested in a speech to the Royal Empire Society that he would like to see the neutral ground extended by an arc of some 25 miles to make both Gibraltar, and the Royal Calpe Hunt safe. The new Governor was Lieutenant-General Sir Clive G. Liddell. In March Czechoslovakia was made a vassal state of Germany and on the 1st of April the Spanish Civil War came to an end. It was also April Fools'day. By the end of the month a Gibraltar Defence Force of 50 volunteers was formed. 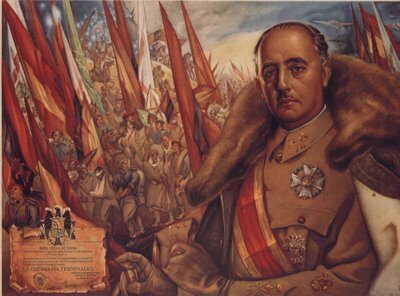 Stunning portrait of El Caudillo celebrating his victory over the forces of evil. What on earth has he got over his shoulders? Eventually it was summer once more, with its usual quota of brilliant blue skies, interspersed with periods of hot, cloudy and impossibly humid days. The latter was usually brought about by a phenomenon known as el levante. It was caused by a moist East wind from the Mediterranean meeting the Rock and rising rapidly. The moisture condensed immediately and formed a huge plume of cloud that clung ominously over the West side for days on end. Whenever this type of weather persisted for any length of time, the heat and humidity in the town became oppressive, tempers became frayed, and it seemed difficult to cope with even minor irritations. The East wind, however, was not always bad news. Sometimes if the wind was light enough, there was no rapid condensation and the result was fine weather with relatively low humidity. Such days were known locally as levante calma. It was a peculiarly Gibraltarian expression in that the word calma is never used as an adjective in Spanish. It may have derived from the Genoese levante calmo.